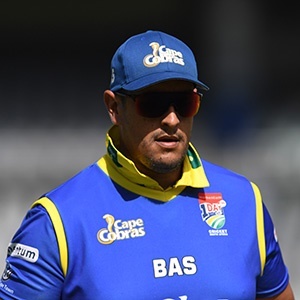 Cape Town - Outstanding death bowling by Vernon Philander and Rory Kleinveldt helped the Cape Cobras extend their lead at the top of the CSA T20 Challenge table thanks to a narrow five-run win over the Knights in Cape Town on Tuesday. The pair claimed two for 43 in eight overs between them, restricting the visitors to 145 for seven in pursuit of 151 at Newlands. The Knights looked on course for victory at 111 for two in the 15th over thanks to Patrick Kruger's 57 off 38 balls (3 fours, 3 sixes). It was the Cobras' fourth win in five games this season as they moved six points clear. The Central Franchise, meanwhile, were left bottom of the table and still searching for a first win.